We at AMW are a busy bunch, always working on many projects. I’m so proud to be a part of this diverse, interesting, and productive group! So proud in fact, that I thought I’d do a series of blog posts to highlight what current and former members are up to. Not only are we accomplishing things as a group, but individually we are setting goals for ourselves and we’re achieving them. These folks keep me on my toes! They fuel my desire to create and they give me courage to follow through with projects. By watching them, I’ve seen what can be done. I’d like to thank Elizabeth Buhmann, author of Lay Death At Her Door, for being the first person in this series. VPC– Elizabeth, I’ve heard that Lay Death At Her Door is doing well. Any updates on its status? EB– I recently got a very nice starred review from Publishers Weekly. Lay Death has been out for more than two years now, and it has done pretty well, in terms of both reviews and sales. I’m happy. VPC– Any other writing projects that you’re working on that you’d like to share with us? EB– It’s getting to the point where I’m overdue to get another book out. I have one novel on the brink, but it’s not quite right yet. I’m stewing on that. I’m not in a hurry. On the contrary, I am trying to detach myself from the gotta-publish, gotta-publish mind-set. The validation that comes from publishing and being read is intoxicating, but publishing can also be a rabbit-hole. When will the next book come out? Did you make the big five? Did you make the bestseller list? In other words, What have you done LATELY? I don’t need to earn money through my writing, and when it becomes a job with a deadline, I rebel. I admire people younger than myself who are setting out to make a career out of writing fiction (ie, trying to earn enough to give up the day job). I didn’t do that. In my career, I was a writer, but writing fiction is a whole different game. It’s hard work and more difficult than ever—the number of books coming out each year is staggering. 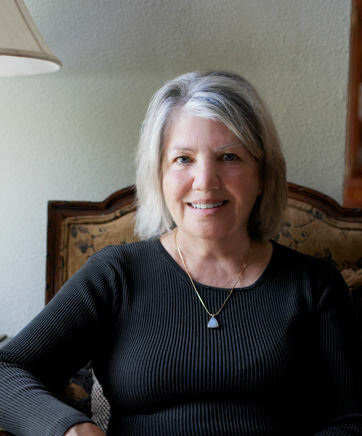 Publishing a novel and having it be well-received was a goal. I don’t want it to become a craving for more and more success and recognition. There are enough books. Maybe I’ll publish again, maybe I won’t. I want to write in peace, on my own terms, at my own pace. If I turn out to be a one-trick pony, that’s fine. It was a good trick. VPC– I know that you practice Tai Chi. I believe that you’ve recently achieved special status. Please tell us all about it! Elizabeth getting her second degree black sash cohort. 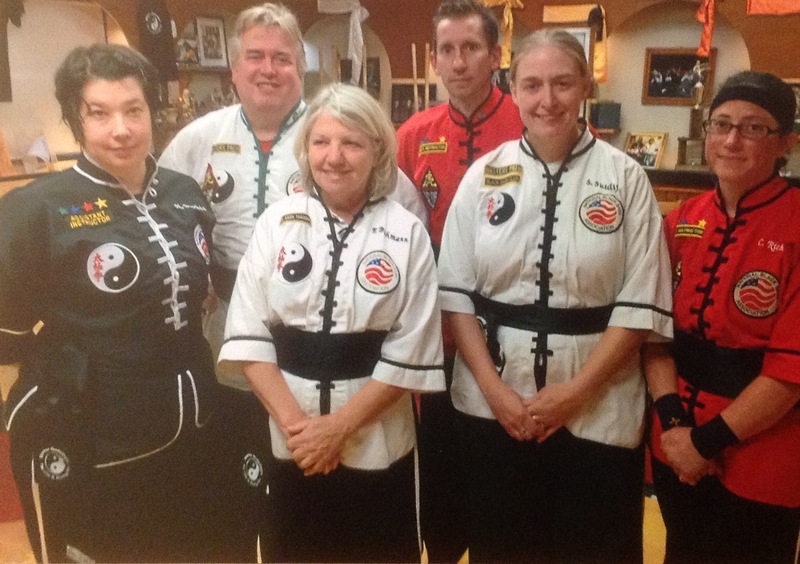 EB– I’ve been studying Tai Chi for six years and earned my second-degree black sash last fall. I’m pretty obsessed. In addition to my own solo practice, I maintain a Tai Chi blog (taichinotebook.com), take classes and work out with a group of Chinese people in my neighborhood. As a side effect, I have been learning a fair amount of Chinese! And I like reading mysteries set in China. I’ve read all of Qiu Xiaolong’s Inspector Chen novels, which are set in Shanghai in the 1990s. VPC– I see your from posts here on the website that you read a wide variety of books. What are you currently reading? Anything to recommend? EB– I have been catching up on Tana French. I read In the Woods and Faithful Place a few years ago; just finished Broken Harbor (six stars out of five, that one!) and The Likeness. Next for me: The Secret Place. I think Tana French is the most brilliant writer working in the mystery field today. Thanks, Elizabeth! I always learn something new and interesting from you. Stay tuned. In next month’s author highlight I’ll introduce author Patric Sanders. I love that you’re learning Chinese! What a great extra benefit. Thanks for the interview, Elizabeth and Valerie. Wonderful interview, Valerie. I’ve known Elizabeth from our critique group, but I’ve learned even more about her from reading your blog post. Elizabeth, I agree that Tana French is brilliant. When I grow up, I want to write like Tana French. Elizabeth, congratulations on the starred review from Publisher’s Weekly for Lay Death at Her Door. That’s exciting. I admire your decision to work for your own pleasure rather than to focus on publication. Maybe that’s the secret of your success? I’m reading Tana French’s Into the Woods now. Always trying to catch up on the backlist.